For many would-be homeowners, the assumption may be that the adventure is over once you’ve actually bought your dream house. This could be argued to be the case because the hunt is more or less done, with the ultimate objective having been achieved. Actual homeowners, however, would almost certainly beg to differ. After all, getting the house could be said to be just the beginning – albeit of an all-new adventure that has many stories of its own to tell. There are indeed quite a few tales to be told once this biggest investment of a lifetime has been made – of course, actually living in that house makes this the case. Living in the new house itself requires a person to relearn a great many things, and learn some new things along the line as well. Life skills and life lessons are all there for the new homeowner to pick up, not least of them making sure the house remains in good living condition and everything in it continues to make the investment worth the while. There is also the need to make sure to do this to avoid racking up even more costs, such as raised utility expenses due to inefficient or faulty fixtures or even repair bills for when things fall apart. 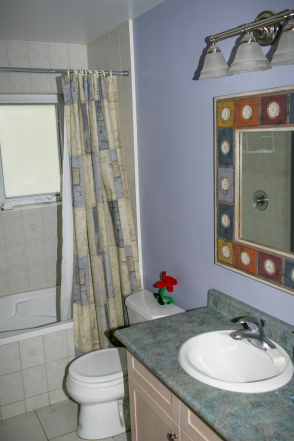 One room that commonly goes unnoticed when maintenance and repair discussions are being had is the lowly bathroom. Actually one of the more important rooms in the house, the bathroom has plenty of fixtures that rely on precise attachment and reasonably capable maintenance work to keep them in good working order. Of course, this usually goes unnoticed and ignored until the inconvenience of having a non-working shower or toilet comes up. How do you know your toilet is blocked? Blocked toilets commonly have a few features in common. Water that isn’t going down or takes a while to go down is one of the most obvious signs – a bad clog in particular will have the water not just refuse to go down, but instead even go up and overflow out of the bowl. One of the most common reasons behind blockage is toilet paper – not all toilet papers dissolve easily, and buildup can result in clogging. Cotton balls, hair and other items flushed down the toilet as a means of disposing them will almost certainly result in blockage, so avoiding this and making sure garbage disposal is instead done properly will go a long way toward keeping your toilet clear of clogs. To know more about clearing blocked drains, visit Guardian Plumbing website, http://www.guardianplumbing.net.au/ by clicking on the link. There are many old jokes and asides that suggest that the adventure ends when you have finally managed to purchase your house. As any actual homeowner can readily tell you, there are plenty of stories yet to be told after this has come to pass. Actually living in the house is an adventure in and of itself, of course, and maintaining the house is an exercise in learning any of a number of lessons – even life lessons – and relearning them as you go along, as well. Making sure that everything stays in proper working order is hardly the simplest thing in the world, and a homeowner could run himself into the ground financially if he had to pay for everything to be done for him. As such, it becomes important for a homeowner to figure out how things work in order to save some money on repair bills – and to be able to take care of matters himself should the need arise more than once. One room of the house that usually finds itself forgotten despite its constant use is the bathroom. This seemingly lowly room sees a lot of use in a day, from tub to sink to toilet. However, very little care is consistently paid to it by most; in many cases, leaking or blocked toilets is simply part of a joking statement, but there is nothing funny about but the inconvenience and wastage that occurs when toilets are not properly maintained. Practical homeowners would be better served by following a system in checking their toilets as opposed to haphazard guesswork. First one should determine what toilet system is there, as well as how it works. Looking in the toilet tank can reveal the way the system works by exposing its technical workings; flushing with the tank open can demonstrate how the mechanisms stored there work together – and even reveal the part that is not doing its job. Generally, a flapper is lifted when the flush handle is depressed; the flapper regulates the flow of water through a channel that goes to the toilet itself. Along with the draining water, a plastic float should drop following the waterline, affecting the movement of a valve. A stuck flapper that is could be what gives the toilet the appearance of being blocked or leaking, due to it not filling. The flapper might be stuck on the chain or otherwise not aligning properly with the opening that it should match. If this is not the problem, it might be something the matter with the valve or float. If adjusting the parts does not solve the problem, seeking replacement parts might be the next step. 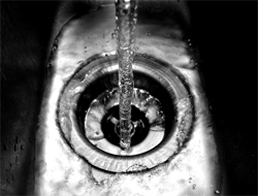 To know more about clearing blocked drains, visit website at http://www.guardianplumbing.net.au/. The toilet is among the most important components of your home’s plumbing system. Although, it is a sturdy fixture, it is likely that you have had several toilet malfunctions of your own like. You have probably encountered clogged drains, but it is not the only problem that you have to face. The tank, for instance, can be a bit noisy, or the water just won’t stop running. While hiring a professional plumber is advisable, being the usual do-it-yourselfer can actually fix common toilet problems like clearing blocked drains. In this article, you will learn the basics of common toilet repairs. 1. Overflowing toilet – When this happens, don’t panic. If you think your toilet is clogged do not flush it because it will only cause the toilet to overflow even more. What you should do is immediately find the flapper inside the toilet tank. When you find it, push it down to stop the flow of water. It will cover the hole that lets water get into the bowl. 2. Clogged or blocked toilets – You can use a force-cup plunger to clear minor clogs. Make sure that the plunger is covered with enough water before working the handle up and down. Remember, do not flush the toilet if there isn’t enough water to cover the plunger. Get a pot of water from another source. If the plunger doesn’t resolve the issue, use a closet auger. Put the end of the auger in the drain hole. Twist the handle while pushing the rotor downward. 3. Water continuously dripping into the bowl – This problem is what plumbers call a “phantom flush”. This happens when the there is a slow leak coming from the tank to the bowl. This is mainly caused by a broken flapper of flapper seat. To fix this, drain both the tank and bowl. Next, check your flapper seat for any damage. If it isn’t damaged or worn whatsoever, cleaning the flapper seat might do the trick. 4. Water dripping into the tank – When you hear a constant hissing noise coming from the toilet, it is likely that it’s a result of the dripping water into the tank through the supply line. To resolve the problem, you need to check the float, the ballcock or the inlet-valve assembly and the refill tube. The weird sound you are hearing is usually caused by water flowing through the inlet valve. The first thing to do is check the float. See if it’s sticking or requires adjusting. Next, make sure that the refill tube is not placed too far in the overflow tube. The ideal placement of the refill tube is about ¼” below the lip of the overflow tube. If you can still hear the hissing sound after making these adjustments, you might need to change the ballcock assembly. 5. Weak Flush – If the toilet bowl empties slowly, it may be a result of clogged holes under the bowl’s rim. First, get a curved piece of wire and use it to gently poke each flush hole to remove any debris. You can use a small mirror to help you look under the rim.